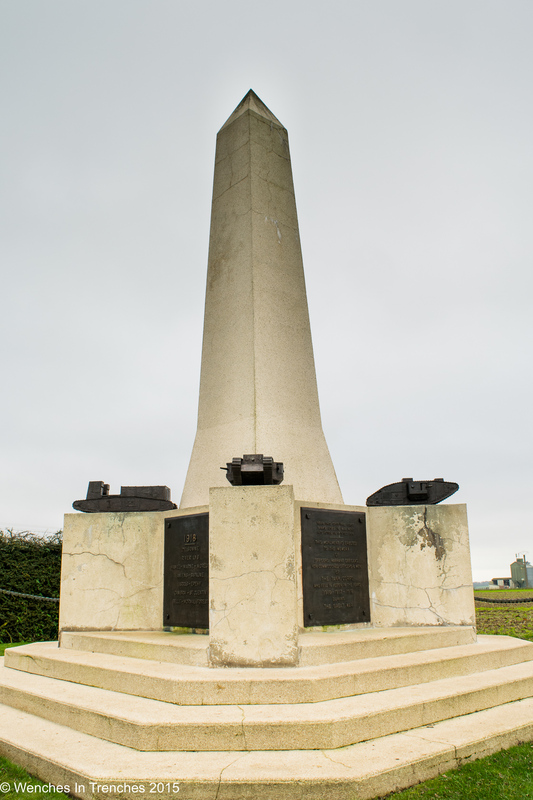 Welcome to the winter edition of the Wenches In Trenches – Roses Of No Mans Land newsletter. 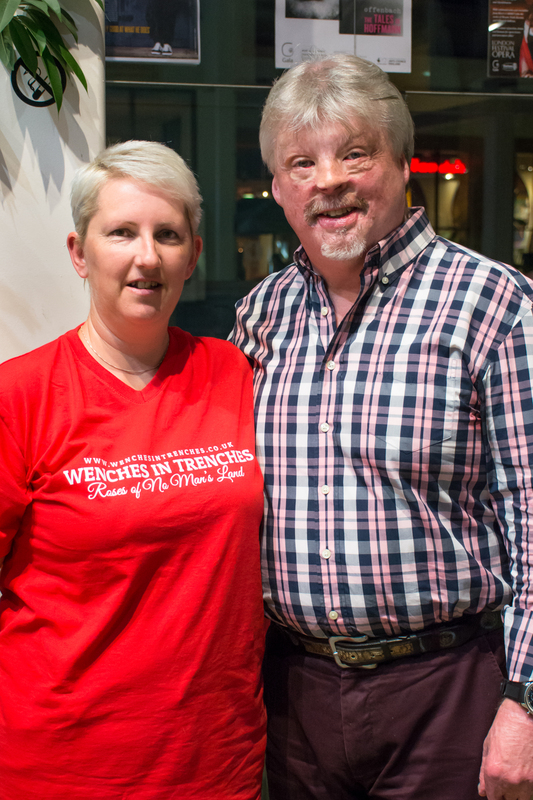 We have been very busy at Wenches In Trenches since our last newsletter. 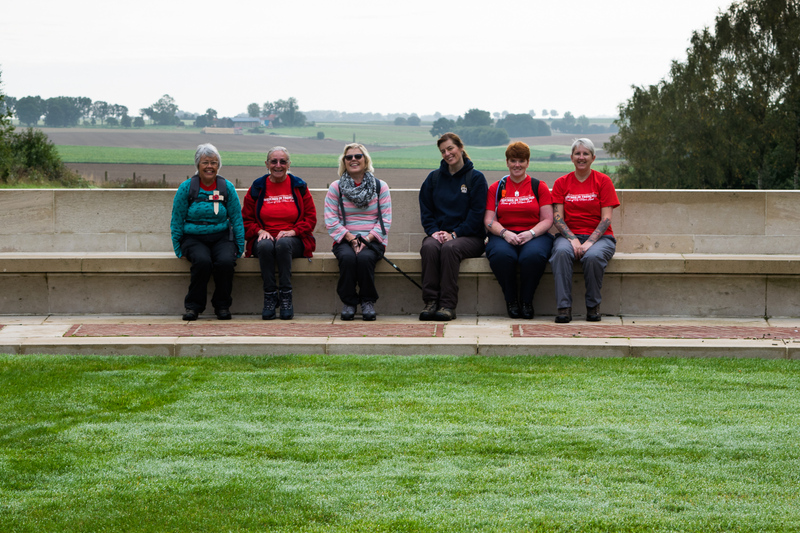 On July 1st head wench Sue and wenches Suzanna and Audrey travelled to The Somme to see the unveiling of our beautiful bench. 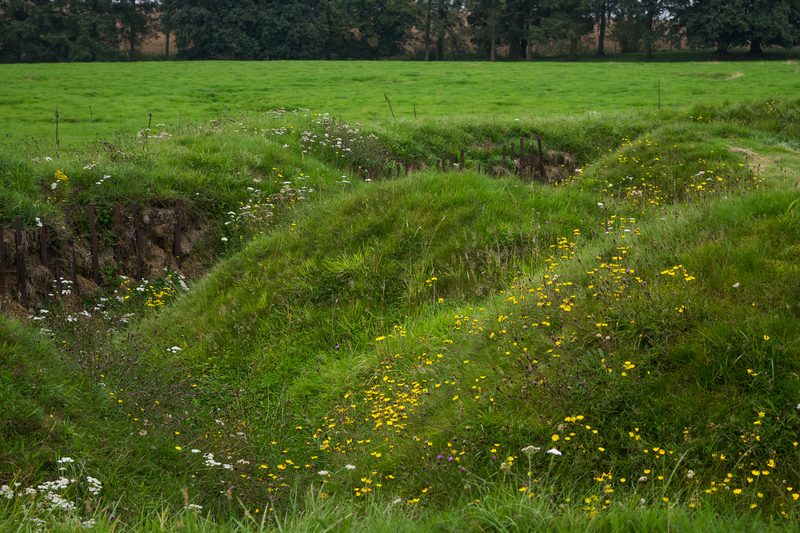 After taking part in the dawn service at Lochnagar Crater they made their way to the site of our memorial, which was shrouded in a striking green tarpaulin. Waiting for everyone to gather felt like a very long time. 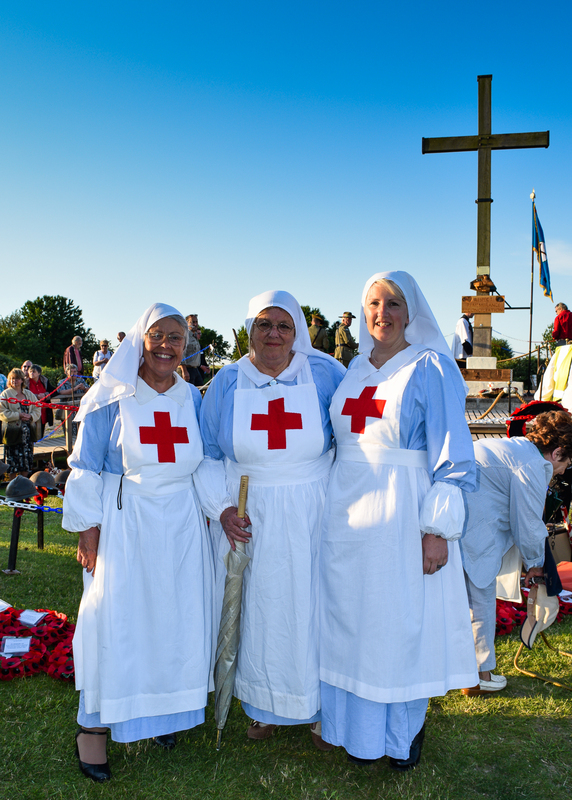 Joined by a French Nurse, Sue, Suzanna and Audrey stood in front of the bench and held their breath. Finally the tarpaulin was lifted to reveal the handcrafted, 9 seater, semi-elipse bench. 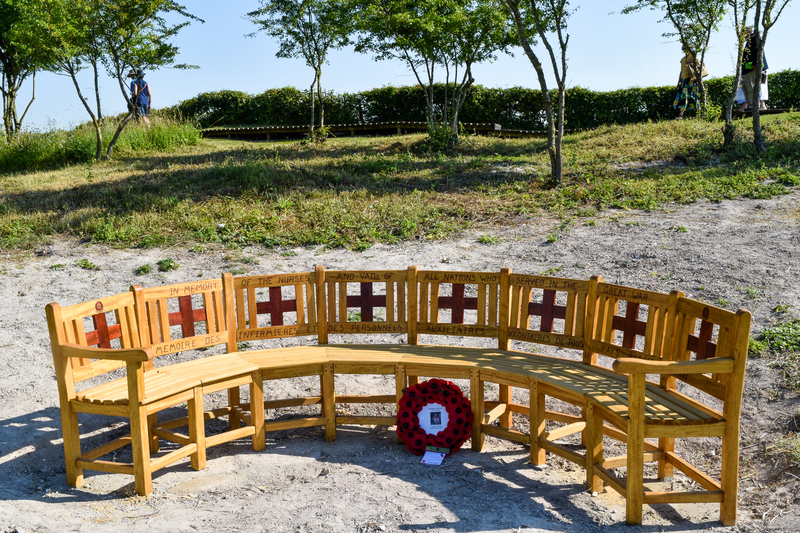 Each seat back centred with a red cross and the words ” In Memory Of The Nurses And VADs Of All Nations Who Served In The Great War” set across the top of the bench. The words repeated in French along the bottom. We are absolutely blown away with the bench and have to say a massive thank you to Vinnie for all his hard work. 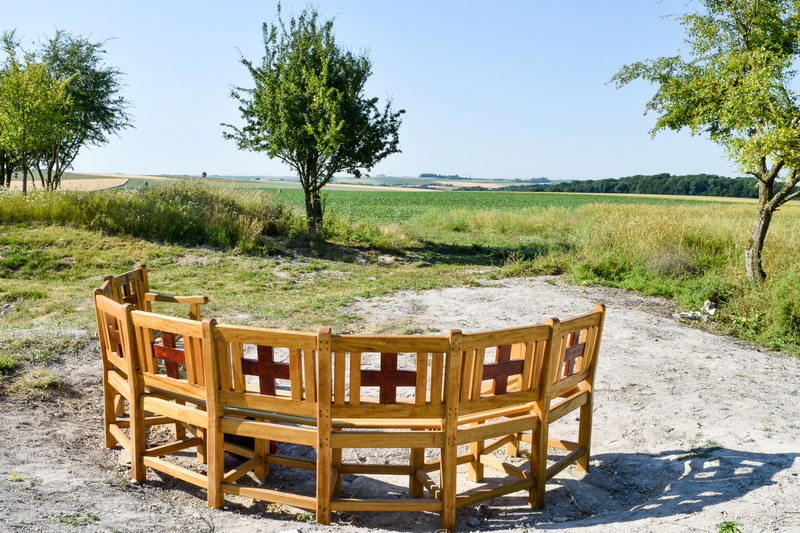 A huge thank you also to Richard, owner of the crater, and the friends of Lochnagar for all their help in getting the bench in place….and for being so good at not letting us peep! Sat in a packed out theatre Suzanna and her husband enjoyed an interview style show from Simon and BBC Broadcaster David Fitzgerald. The show was honest, frank and often funny. A relaxed and informal look into Simon’s life. A must see if it comes to a venue near you. 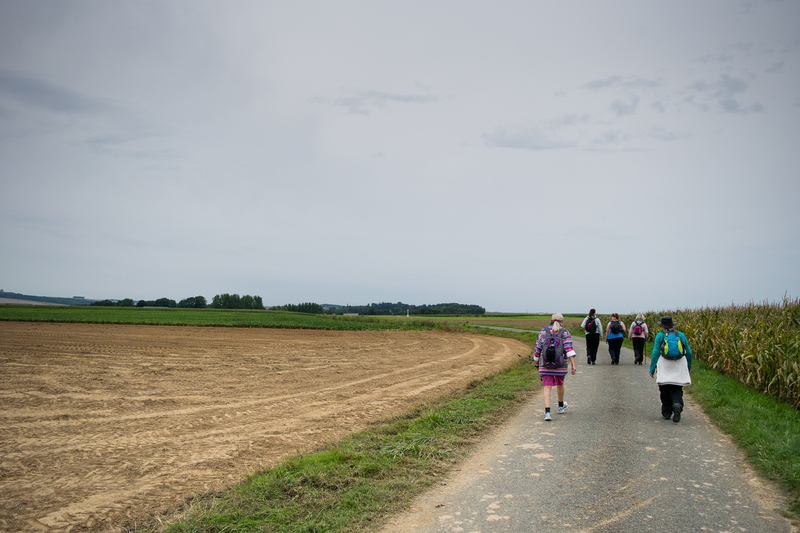 In September we took a group of women to France for our annual sponsored walk. We had a smaller group this year but had just as much fun. 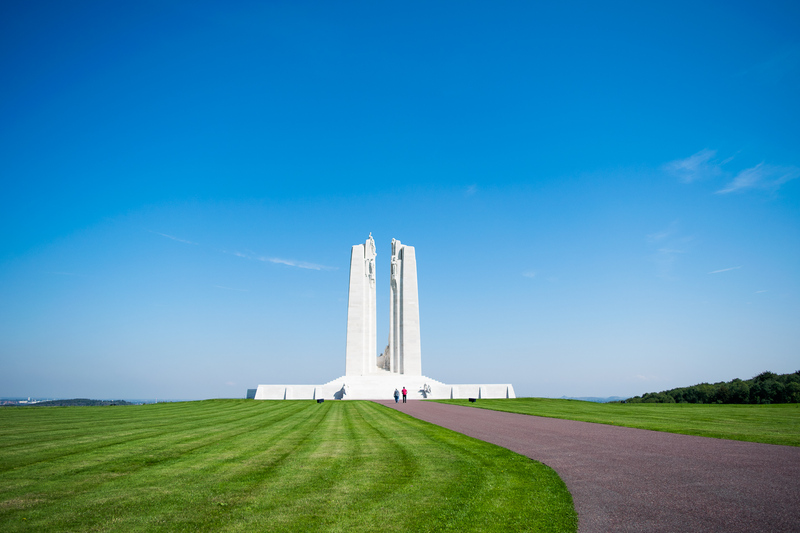 We had a quick visit to Vimy Ridge Canadian Memorial on the way to our accommodation. 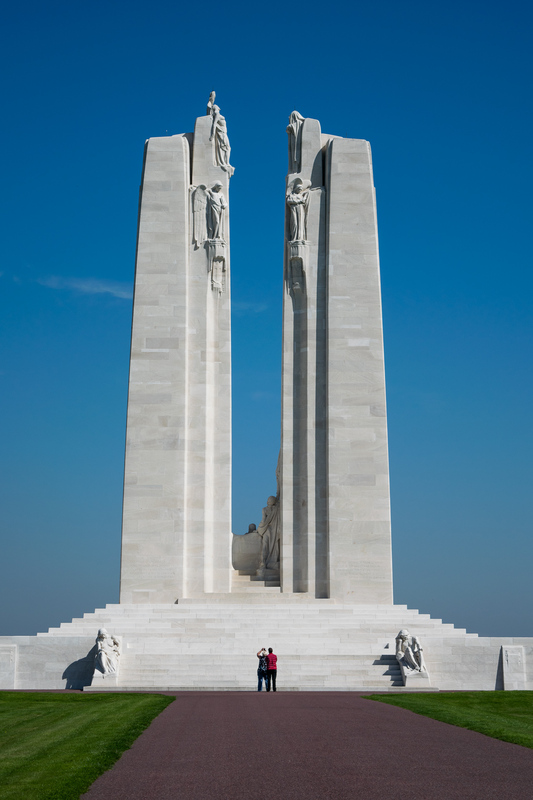 A breath taking monument to the Canadian fallen of the Great War. We were staying at Snowden House, a beautiful old farm house in Longuval. A perfect base for our walk. Day two of the walk started at Thiepval Memorial. 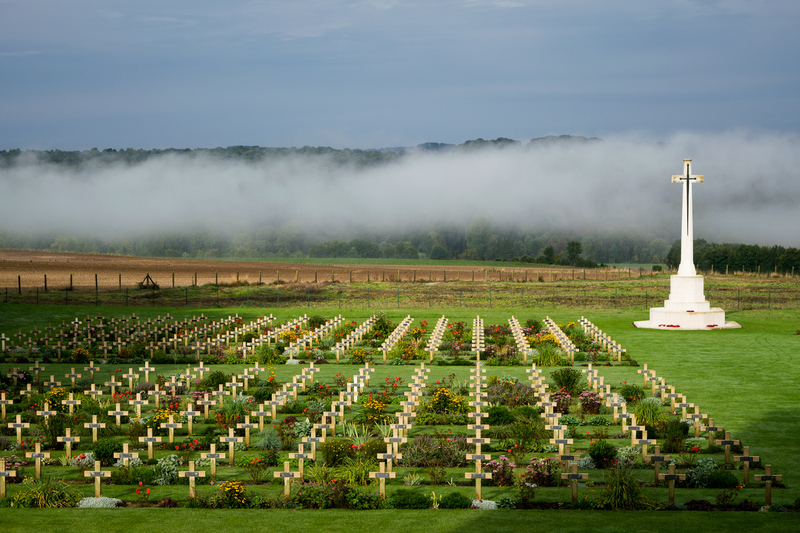 A truly humbling memorial to the men who have no known grave. There are thousands of names engraved into the stone walls of this memorial. It really makes you appreciate the sacrifice these brave men made. 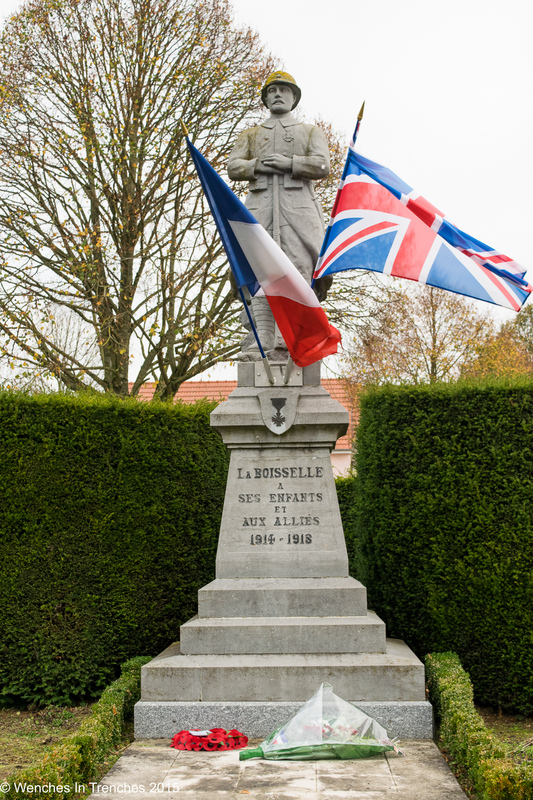 We walked down the road towards La Boiselle stopping at Authuille Military Cemetery and Blighty Valley Cemetery. 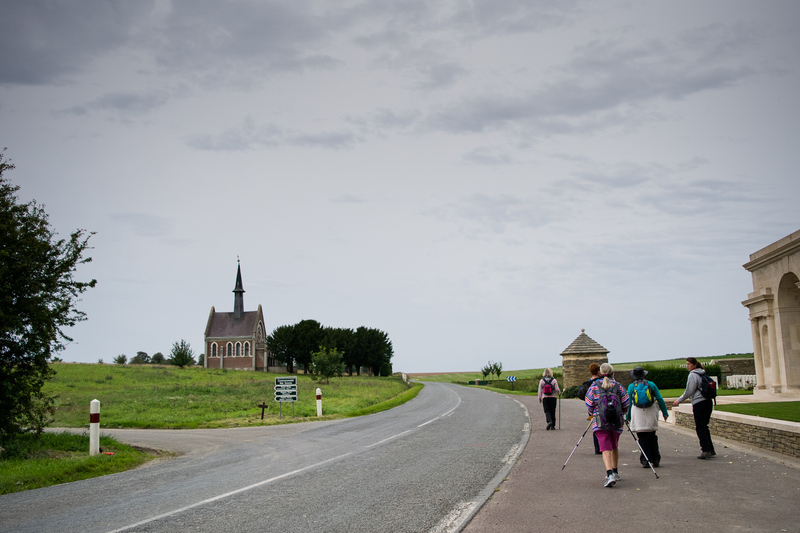 Passing Crucifix Corner we walked the last stretch of road up to La Boiselle. Stopping at The Tyneside Memorial so that Audrey could lay a poppy cross. Next stop Old Blighty Tea Rooms for lunch. Just as we sat down to eat the heavens opened! It absolutely poured down. But we are the Wenches and it did not put us off one bit! 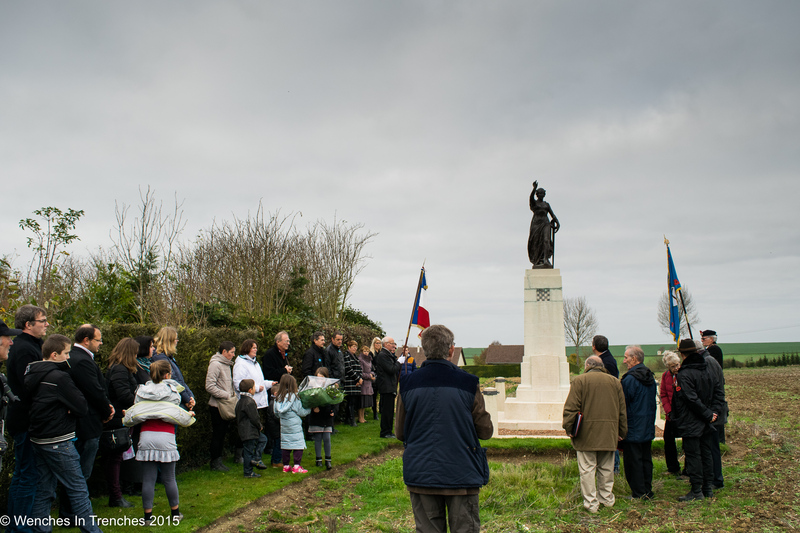 So after lunch, and a quick hello to some of our lovely supporters, we made our way to Fricourt. First stop Fricourt German Cemetery. 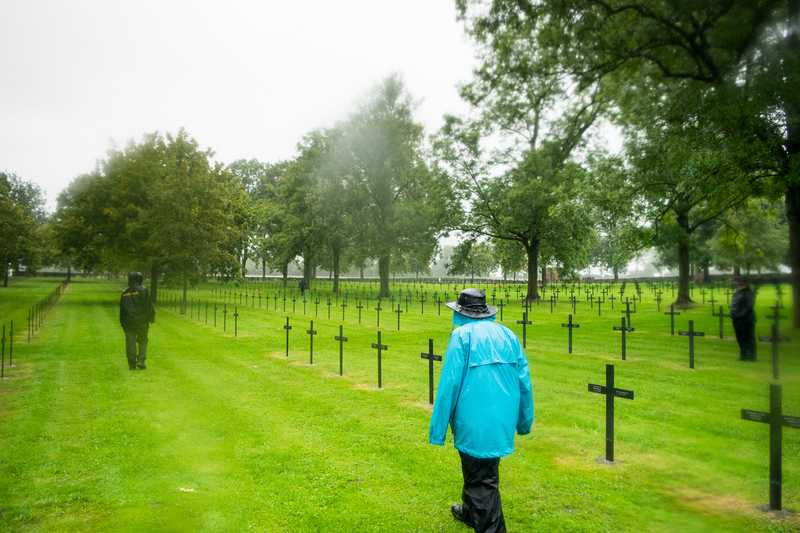 A stark place filled with black crosses…and a few Jewish headstones. It seemed even more stark in this torrential rain. 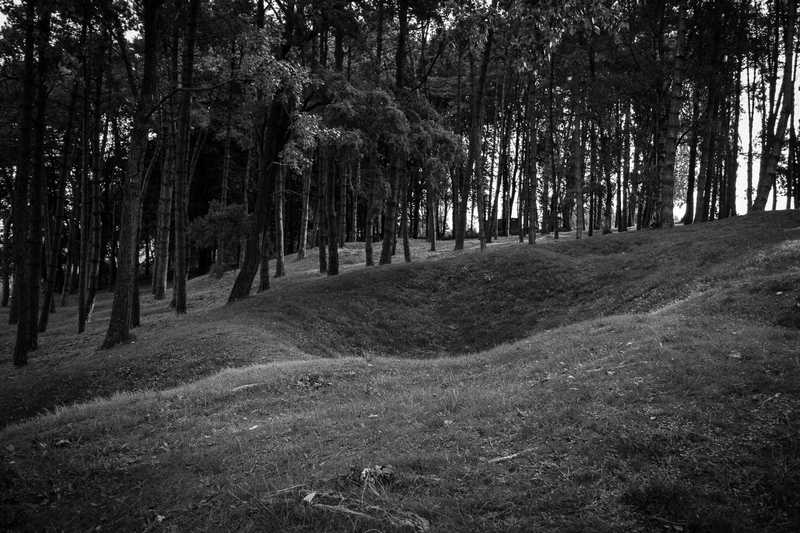 Next down the road to the Fricourt New Cemetery. A little bit of puddle jumping was involved along the way, it was great fun. 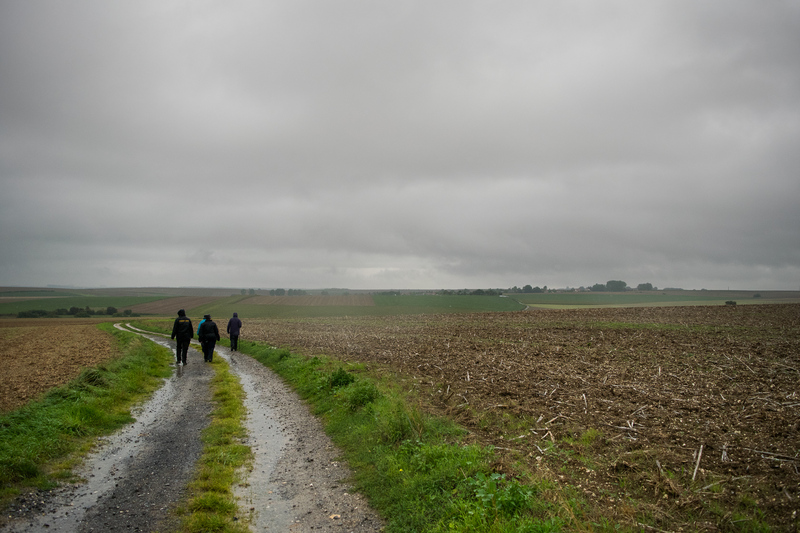 After Fricourt New Cemetery we retraced our steps a little back to the junction that takes us up towards Lochnagar Crater. Tarmac for the first ten minutes of walking then the road turns into farm tracks. In this rain that meant lots of very slippery mud. It made us all appreciate what it must have been like for the men during the war having to live in the mud for all that time. It must have been horrendous. We got very muddy, very quickly. We were really glad to see our support vehicle parked next to the crater in the distance. A last push on and we made it to our final stop, Lochnagar Crater. Drenched and tired but elated we had made it! We have walked a total of 28km over the last two days. We would like to say a huge thank you to all our supporters and followers, thank you to all who sponsored the walkers and donated along the way. 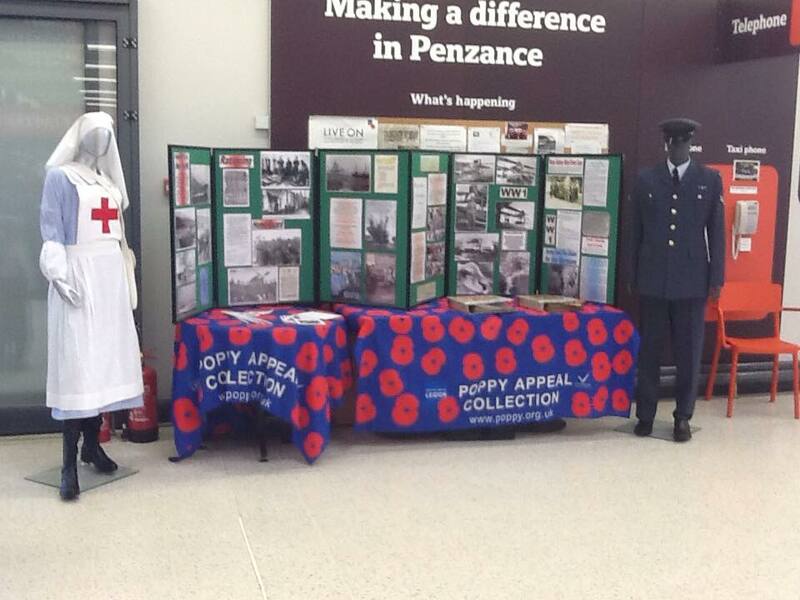 We have raised just over £3000. We are very pleased to have been able to make donations to the following causes over the last few months. Blue Apple Charity – Donation towards the Veterans Respite trip to Avimore over the Bonfire weekend. Socks & Chocks – Donation towards the purchase of sleeping bags for homeless veterans. St Peter’s Court – Donation towards the veterans Xmas lunch. We are always looking for companies and organisations that can support us on our events. Over the years we have been sponsored by many companies. We could not do as much as we do without the invaluable help of our supporters. We will most definitely enjoy the first ‘package’ of support from Yorkshire Tea…a huge box of teabags! 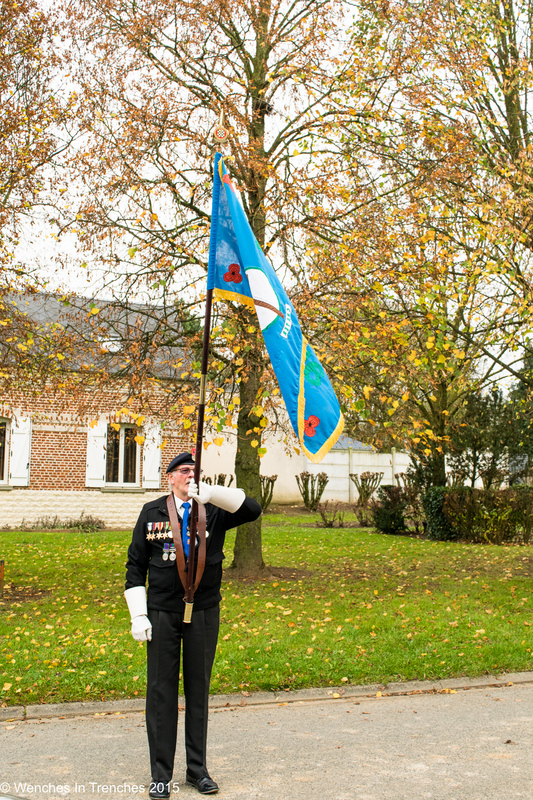 In November head wench Sue R and wench Suzanna travelled to France to take part in the Armistice Day events on The Somme. 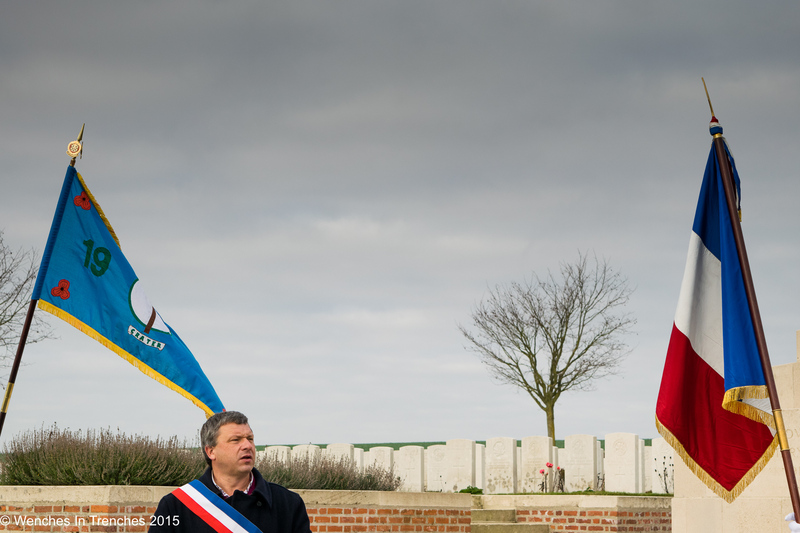 Taking part in ceremonies at memorials and cemeteries in and around La Boiselle it was a honour to have been invited. Ending their day with a wreath laying service at Lochnagar Crater. 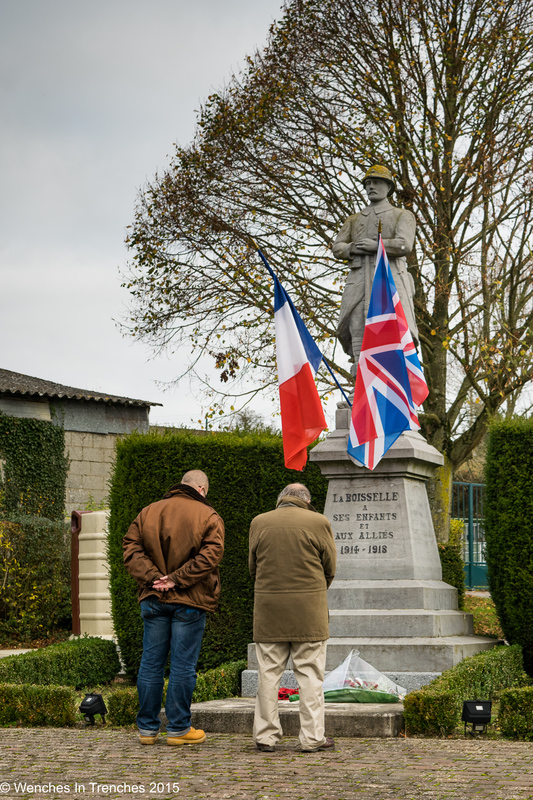 We cannot mention our trip to France without sending our thoughts out to all those that were killed or injured in the attacks in Paris. We had returned to the UK 2 days early as we had meetings to attend in Portsmouth. We arrived back in the UK on the day before the horrible attacks. We were horrified to see what was happening. We are thinking of all those affected by the tragic events. It is with great pleasure that we announce head wench Sue R has been awarded with a Fellowship to the Royal Society for Arts. Sue has been nominated and accepted to the RSA for her tireless work for charity over the last 20 odd years. Well done Sue, we are all so very proud of you. Over the years Wenches have sent parcels out to the troops abroad over the christmas period. Just a few little treats to remind the troops that they are thought of over the holiday period. This year we have chosen the 1st Royal Gurkha Regiment, who are on deployment overseas. We have worked very hard collecting goodies to send out to the Gurkhas. At the beginning of December 30 parcels were sent from Wenches HQ in Penzance. There were also a few more parcels sent from other coordinators across the country. We are happy to say that all parcels were received and the Gurkhas were very pleased with the treats we sent. We would like to thank everyone that helped with the parcels. We would like to say a special thank you to all the staff at the Taj Mahal in Penzance for supporting us with a fabulous curry night in November. When we were contacted by Walking With The Wounded this year to put a team together for their Cumbria Challenge we were delighted to accept. Taking place in Grasmere in the beautiful Lake District, our team will be tackling the ‘Tough’ 22km route. After the walk had finished this year head wench Sue R made the journey up to the North East of England to spend some time with wench Suzanna and her family. During the visit Suzanna and her husband Simon took Sue to see a magnificent work of art in the town of Seaham. 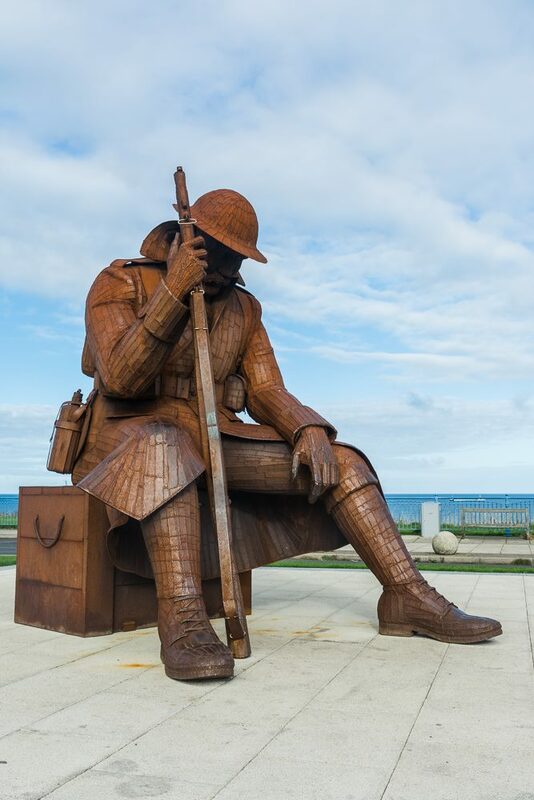 A 9ft high steel WW1 solider affectionately known as Tommy. His given title is ‘Eleven ‘O’ One’ as he represents a soldier sitting down at one minute past eleven on Armistice Day. After seeing this amazing piece of art Sue expressed how wonderful it would be to have a Nurse or VAD made by the creator of Tommy, Ray Lonsdale. Suzanna agreed and after Sue had returned home to Cornwall made contact with Ray. After a few emails Suzanna and her husband went to meet Ray at his studio not far from where they live. They came away from the meeting with Ray onside and very keen to help us achieve our dream of a Nurse or VAD made in steel. Now we need to find the perfect location for her so we can begin the task of raising the funds. We will keep you updated as the process progresses. 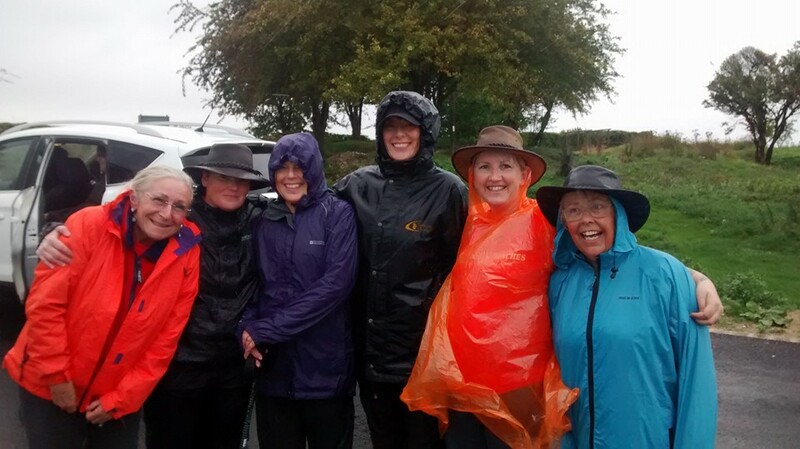 We are already making plans for our 2016 sponsored walk. Our accommodation is reserved and the dates are set. This time we will only be taking 6 walkers so the process to secure a place will be a little different than previous years. More information will be given in January when we open the registration for the walk. All that remains is for us to say thank you so much to everyone that has supported us this year. Thank you to all our sponsors. Thank you to all the fundraisers and walkers. Thank you to the Wenches staff for all your hard work.